After we had bitten the bullet and booked flights, we needed to work out how we wanted to see the most of these fabulous faraway places! Two different friends of ours have visited New Zealand and Australia respectively in the last few years and both elected to 'campervan' around the countries and had nothing but good things to say about it. 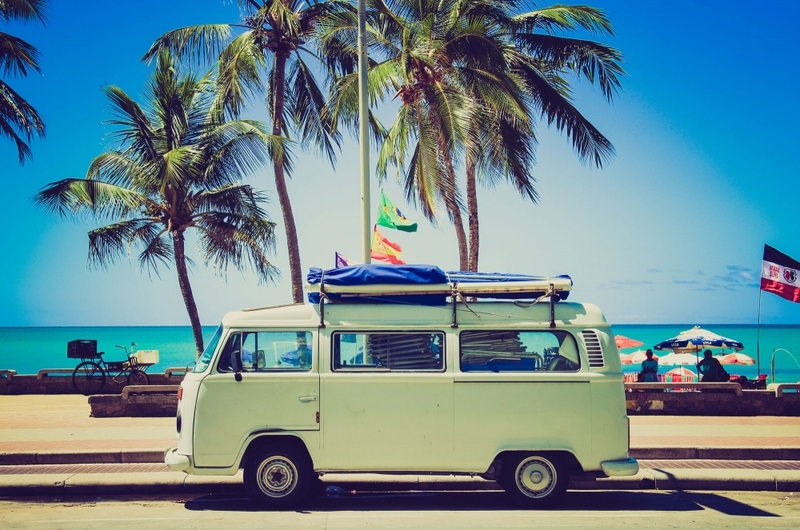 Campervaning is becoming a much more popular option for budget, RTW travelers. The more we read and heard about it, the more convinced we became. Having a vehicle would mean that we could see so much more of both countries and have the flexibility to work to our own timetable with the added bonus of having a place to sleep and a solid roof over our heads. It also seemed to be working out the cheapest option! We had a look around and had narrowed it down to a few options that had campervans in both Australia and New Zealand, Wicked, Mighty and Spaceships. Our friends had used Wicked in Australia and although good, their one criticism was the crude paint covering all of the campers. This put us off slightly although their price wasn't bad. We received a quote from STA Travel for Mighty vans which was also reasonable but we were put off by being unable to get the highest form of insurance from them until we picked up the van. Finally came spaceships. Our other friend had used them in New Zealand and was quite happy with them. They seemed fun, reliable and had everything we wanted included with them. We contacted both offices (Australia and New Zealand) and managed to get very competitive prices with discount for booking in both countries. Spaceships Australia also has an offer where if you donate $35 AUD to the Surfrider Foundation they will give you 15% discount (you just need to provide proof when you pick up the car). In the end the combination of price and a friend having used them pushed us towards booking with Spaceships but there are so so many options out there and you should be able to find the perfect campervan for your own requirements. We'll hopefully post a proper review of the Spaceships campervans when we get out there and have been using it for a while so watch this space!